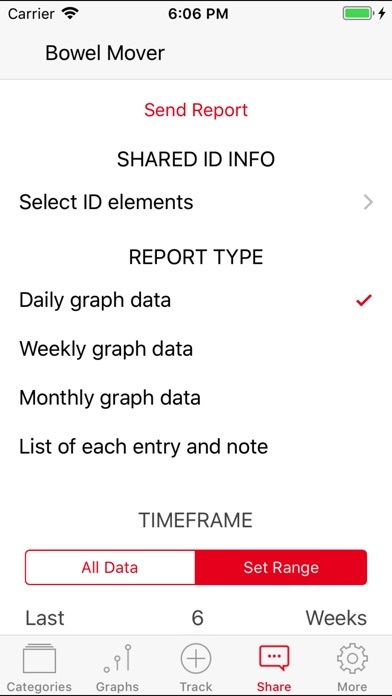 This app is very easy to use and you can track with a couple of clicks. 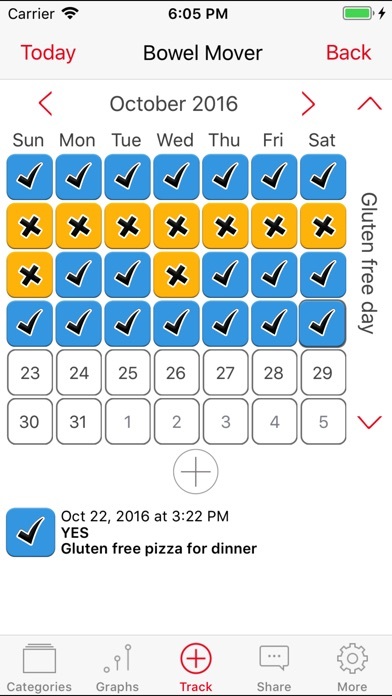 This app helps me keep track of my health due to a condition I have. 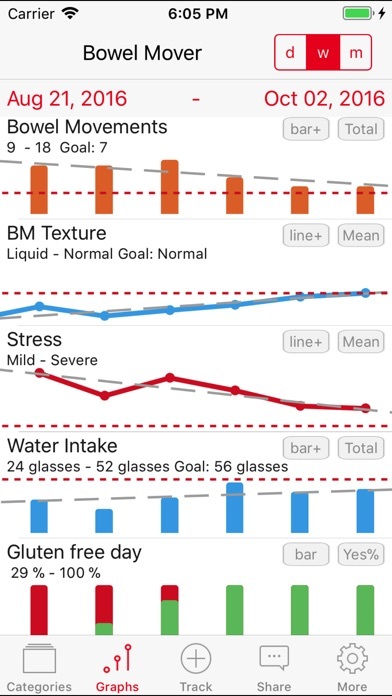 It reminds me when it's time to track. The reports are helpful for my doctor. You can chart your results and email them to your doctor. This application is the best! 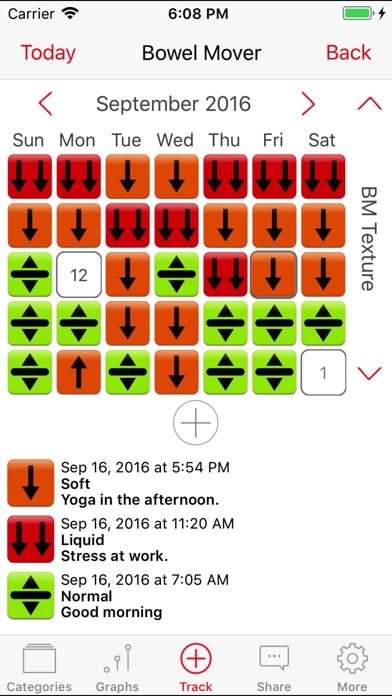 Always stay on top of your constipation problems with this application! Really love this app because of its simplicity! 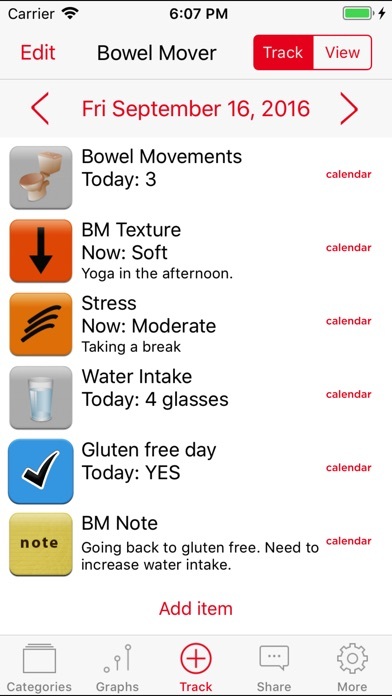 I’ve looked for other BM apps and a lot focus on diet and stress and even gluten before going straight to the trends of your stools. Personally, that’s too much effort especially since I don’t eat an American diet where everything is measured etc. The producers took a while to update the app so I looked for other apps but nothing compares to this app’s simplicity. Highly recommend if you just want to document your bowel movements!